One of the best ways to keep up the energy going is to celebrate what we achieve. This Joy happened at Kolkata which made all our foundations nationwide cheerful. As Kolkata also known as 'City of Joy', with no doubt it brought us immense happiness with a great outcome of our training. The results of batch NEBOSH IGC Kolkata-Dec'12, amazed us with stunning pass percentage. The results counted to 85% pass in IGC-1, 85% pass in IGC-2 and 85% pass in IGC-3, with distinction and credit. As India's leading Health and Safety Institute all over India, this joy of NIST depicts our excellence, quality and adherence to International Standards in the field of Safety Training. 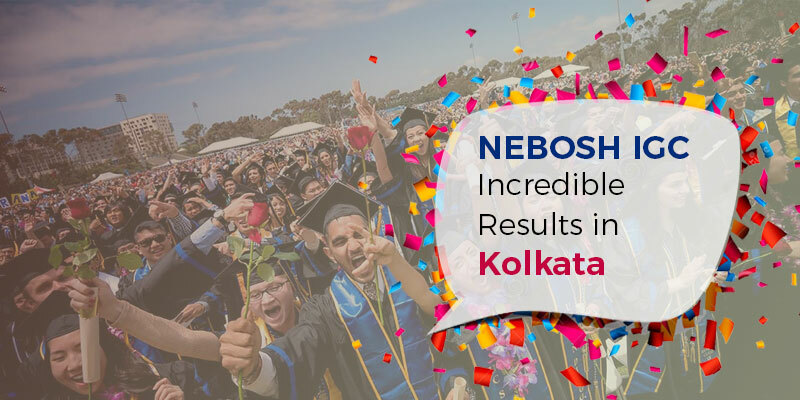 This is such a great privilege for us as NIST had just laid foundation in Kolkata by December and the results of the batch NEBOSH IGC Kolkata-Dec'12 is NIST's foremost batch in Kolkata. Hard work, passion, focus and our quality deliverance by proficient trainers behind the scene are the reason to achieve such a massive success at the first-ever batch itself. This wouldn't be possible without the entire result-oriented Coordinators and their dedication towards the training which contributed to our success. Also, the effort, perseverance and co-operation delivered by the students during the training are to be highly appreciated which is the key reason that made this event so successful. We congratulate everyone for bringing us the Joy and heart fully thank everybody who made it happen!